This campaign for Yves Saint Laurent’s fragrance Opium aimed to utilise the stylish demeanors of millenials at the heart of its advertising campaign. Working with partners Kinetic in the run up to Christmas, our aim was to create a campaign that would successfully cut through the clutter, delivering an experience for consumers that was simple, fun and stylish. 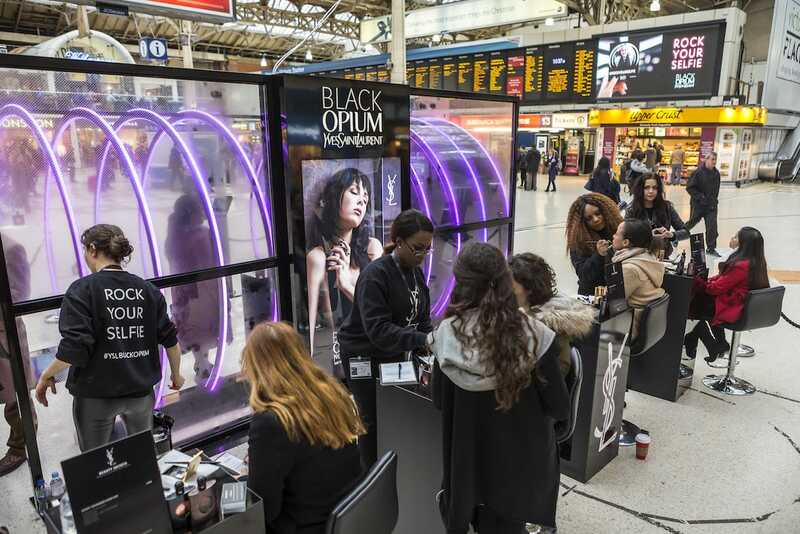 As part of a large experiential execution in Victoria Station and Westfield shopping centre, Consumers were given makeovers to achieve their ultimate look before this was captured in the ultimate ‘Rock your Selfie’ photo booth experience and illustrated in neon with their own personalised style statement. Each personalised image was then moderated and published on the large DOOH screens as well as on social media. As an extra incentive to join the campaign a makeover winner was announced every 30 minutes.